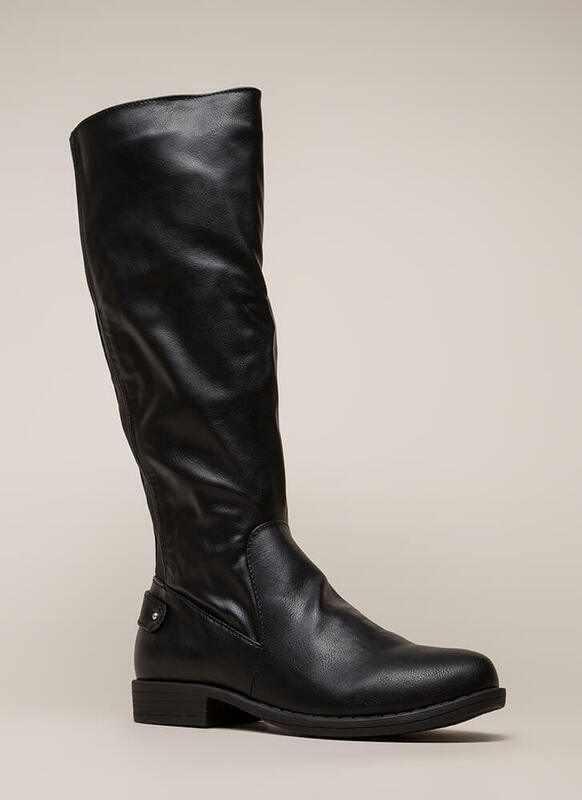 It's okay if you don't ride. These boots will still make you look the part of equestrian expert. 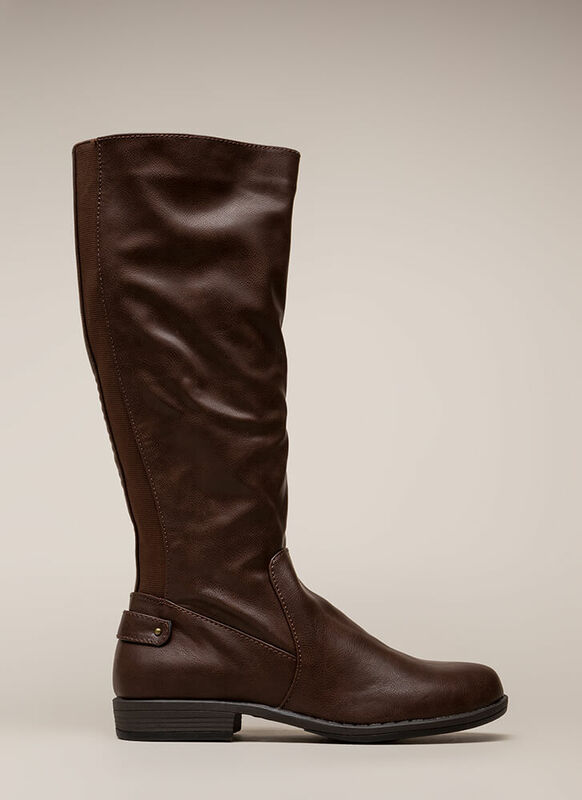 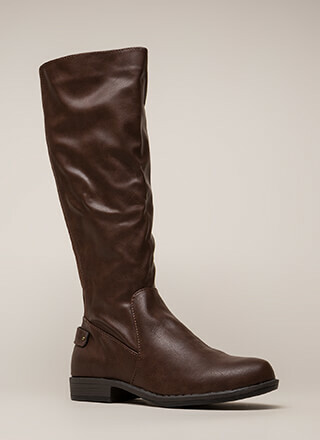 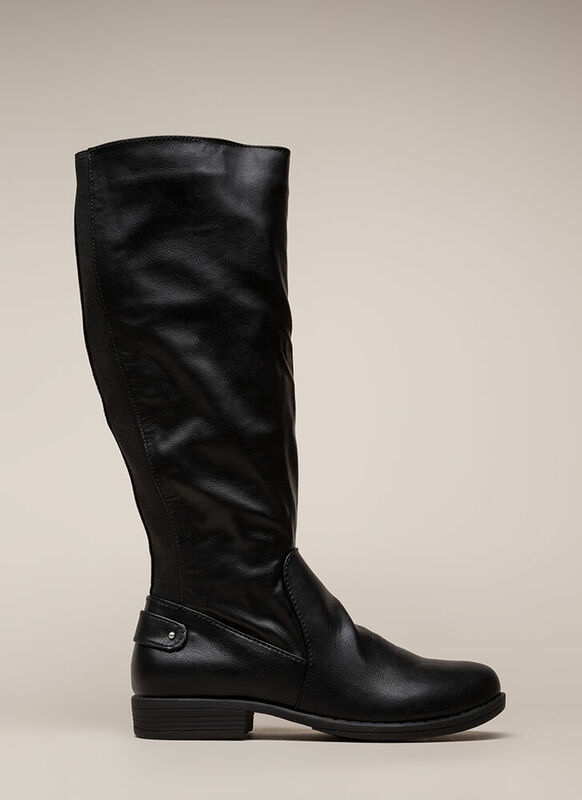 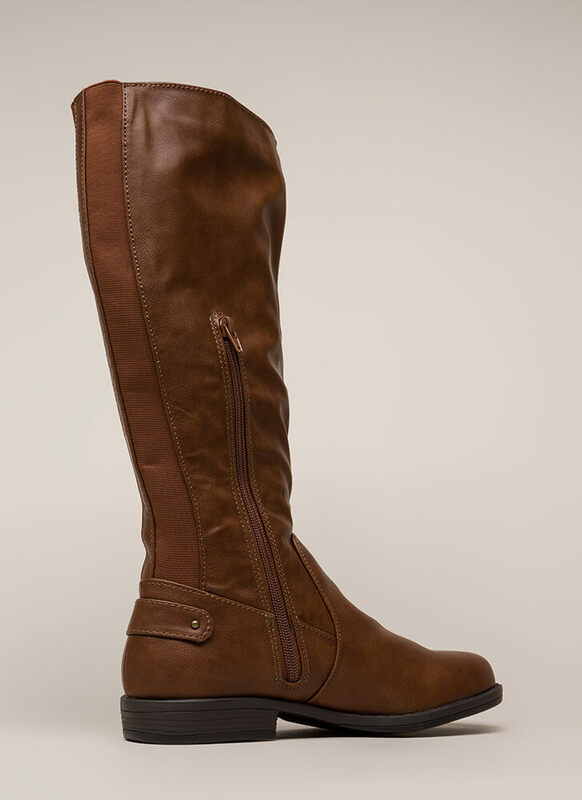 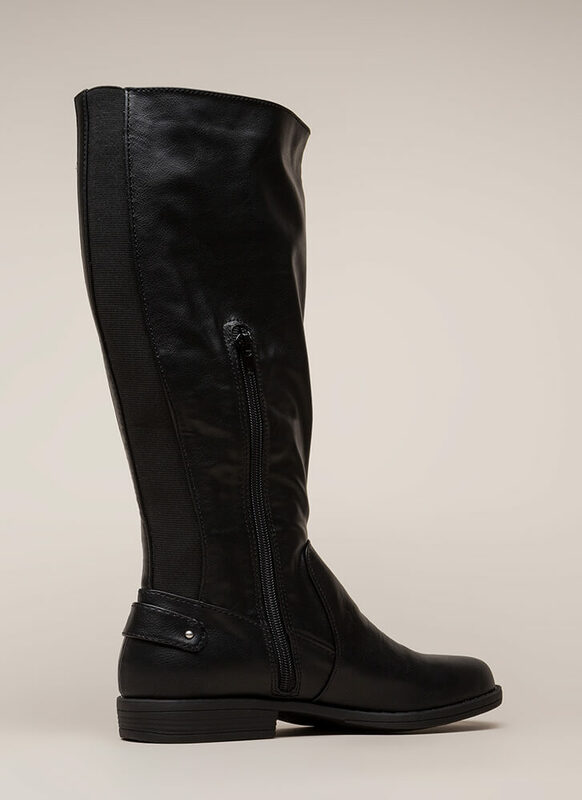 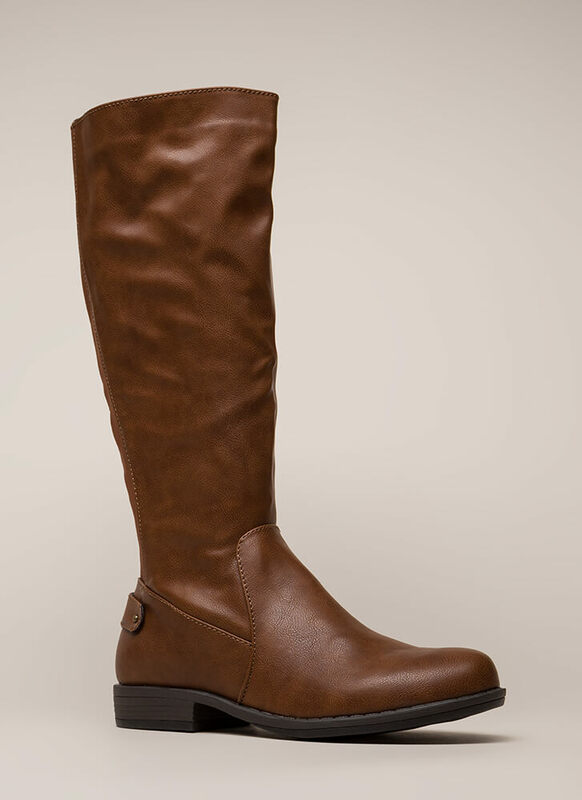 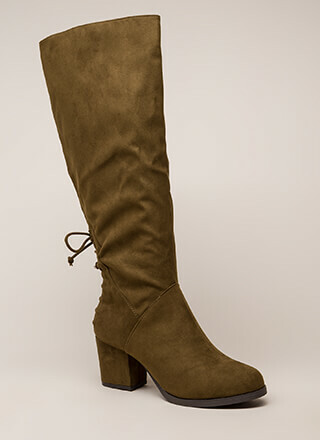 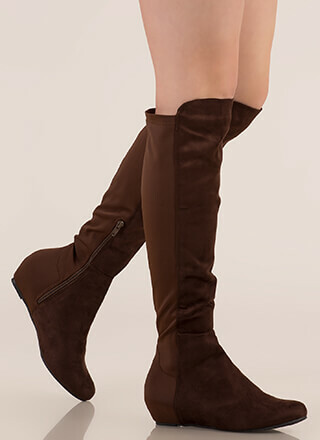 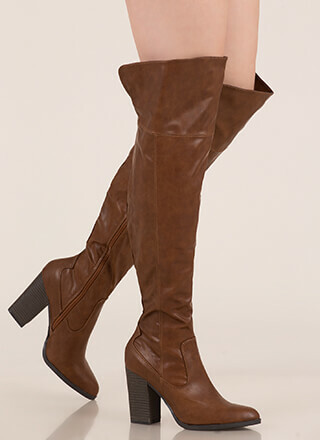 Knee-high vegan leather riding boots feature a slim elastic panel down the back. 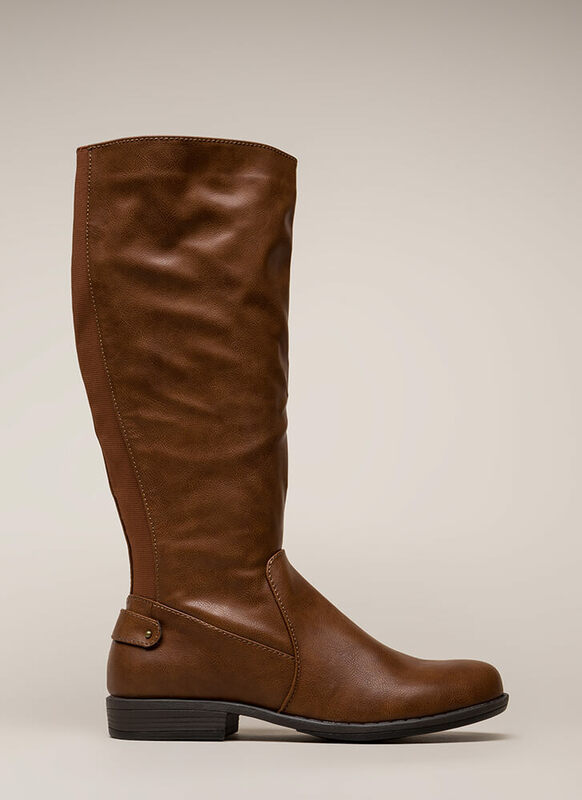 Shoes are finished with a patterned sole and a side zipper for easy on and off.